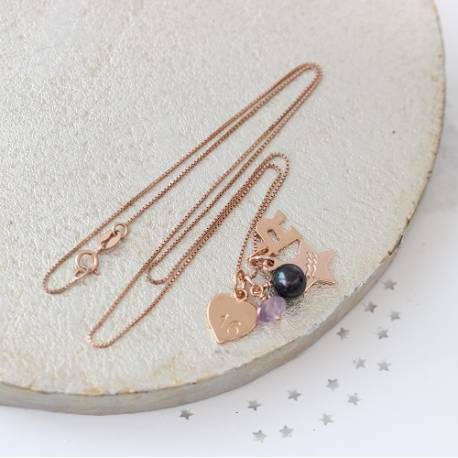 Available in sterling silver, rose gold plated sterling silver (vermeil) or gold plated sterling silver (vermeil). 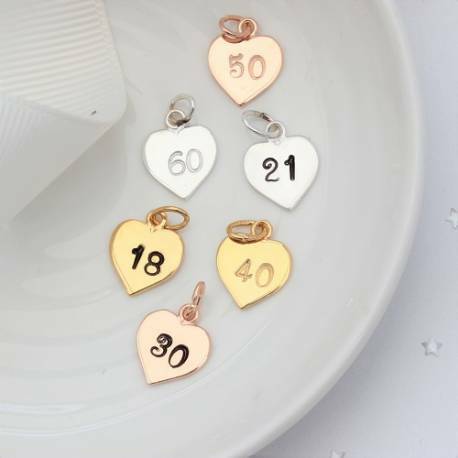 Your dainty shiney sterling silver heart charm will be sent already stamped with the number of your choice, and comes complete with a jump ring for attaching to your jewellery. Each number is hand stamped and patinised (black finish) so it stands out, or we can leave it silver or gold (clean finish). The numbers are approx 3mm high. 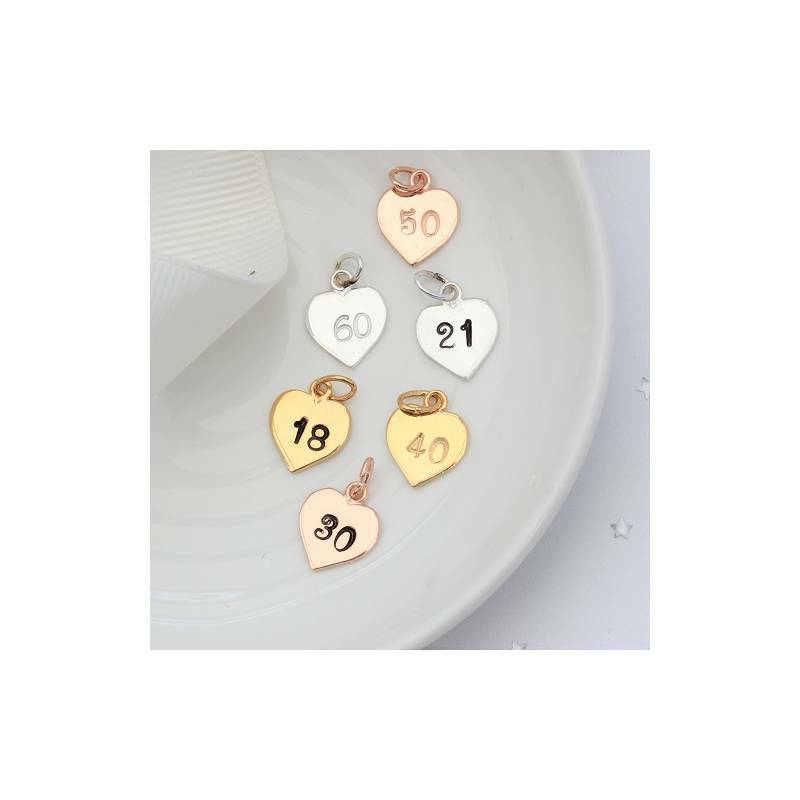 If you are ordering these to be added to a personalised necklace or bracelet you are ordering at the same time just select no gift wrap and we will know to add it onto your necklace or bracelet. If you just ordering a charm and select no gift wrap, it will be sent to you in a small plastic bag. We are unable to guarantee these charms will fit on any other chain or bracelet other than those sold by Bish Bosh Becca. If you have a one of our bracelets already and would like an additional charm added you will need to return the bracelet to us so we can remake it with the additional charm. Sterling silver, rose gold plated sterling silver (vermeil) or gold plated sterling silver (vermeil). The heart is approximately 10mm by 10mm wide, with the loop it hangs approx 12mm from the chain.